Nope, this is nothing to do with saving on washing up. The One Pot Pledge® is a campaign from the Garden Organic charity to entice 30,000 non growers into growing at least one edible plant at home. It’s an excellent idea and not too outrageous either; everybody has room for one pot of soil even if it’s just on a kitchen windowsill. Growing some of your own food is an excellent way to get back in touch with how food is actually made, slash your food miles and get some super fresh, flavoursome produce to cook with. It’s addictive too – this year I’ve grown twice as much as last year and tried at least three new crops. As a relative newcomer to gardening, I’m not ready to volunteer as a Gardening Guru for the scheme but I thought I’d pass on my own suggestions for easy plants to get started with. These are the ones that worked for me first time, will grow happily in a pot and give edible results within 1 to 2 months. The one pot pledge site has it’s own guides to what to grow and I’ve also just found the Royal Horticultural Society Grow Your Own iPhone app which will give you growing recommendations based on how much space and time you have available. Great suggestions for a novice gardener, Sophie, and I do think you should consider volunteering to be a guru. 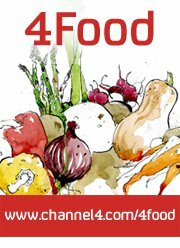 What a great campaign, one of several you have in the U.K. I’d love to import this one to Canada along with the “Love Food, Hate Waste” initiative. Thanks Elaine! I think I need another year or so under my belt before I volunteer to help other people. I had beginners luck last year but this year have been learning all about garden pests and diseases. I was chatting with friends about the one pot pledge yesterday and decided pea shoots were the way to go if you’ve never grown anything before. So easy and tasty. That’s a great campaign, and it’s good that you’re spreading the word about it. 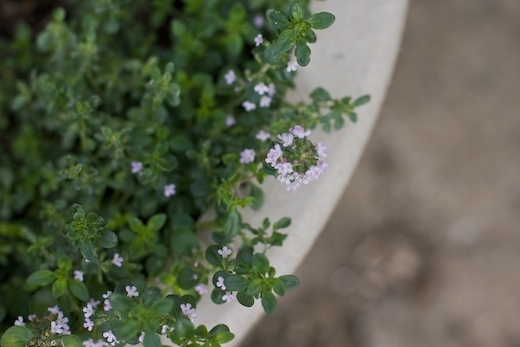 My thyme and oregano are sharing a pot which is currently in the yard. I’ll have to bring it in for winter in this climate though. I’ve never grown herbs inside before, so it’s good to hear that a range of them have worked well for you. Great campaign – and I’d love to hear your tips on growing cilantro. I have such a hard time. Perhaps I’m not keeping my soil well nourished? The leaves always go all yellow (same with parsley). I second the salad leaves (given good well-drained soil). I’d also add potatoes and tomatoes to the list!